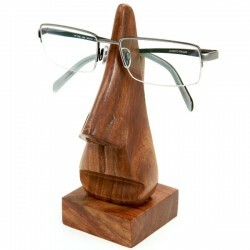 Decorate your place with beautiful home decor handcrafted by poor artisans from around the world. 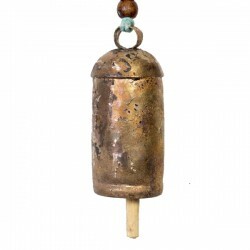 Small, cylinder shaped bell crafted from recycled iron sheets, covered in c.. 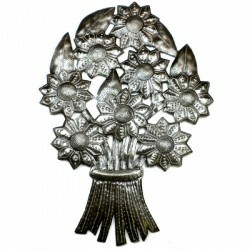 This fair trade piece features a bunch of flowers in this traditional Hait..
Metal Drum Art. 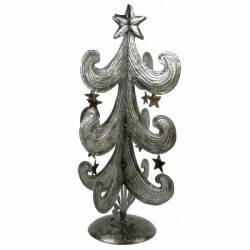 This metal art Christmas tree is 42cm tall, making a great..
Metal Drum Art Wall Hanging. 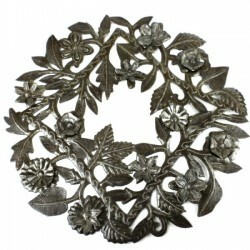 This metal art wreath is 38cm in diameter wit..
Metal Drum Art Wall Hanging. 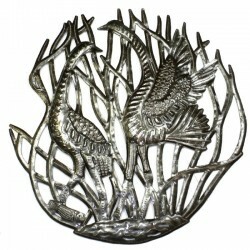 This piece features two cranes in reeds in th..
Metal Drum Art Wall Hanging. 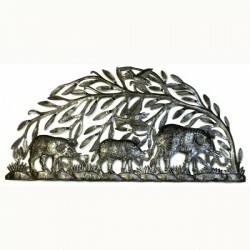 Depicting elephants, this piece of fair trad..
Metal Drum Art Wall Hanging. 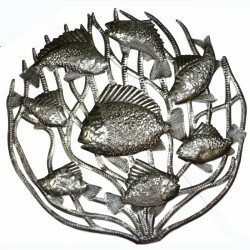 Hand-cut and embossed in Haiti, this fish des..
Metal Drum Art Wall Hanging. 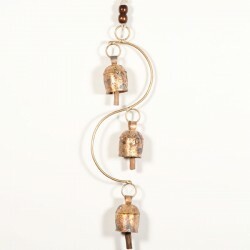 This fair trade piece features a school of fi..
Metal Drum Garden Art. 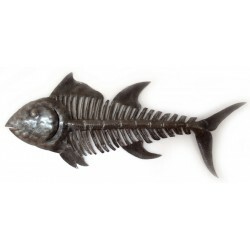 This metal art garden stick is 85cm tall featuring .. 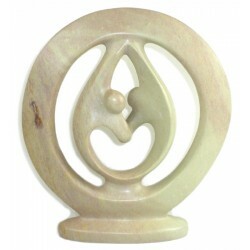 In this exquisite nativity scene, the purity of white Huamanga stone heigh..
Funky yet functional, this wooden nose is a great way to keep track of your..
Hand-cut from steel drums by Haitian artisans, this hand-painted bull frog .. 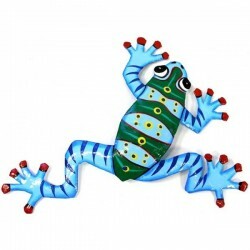 This piece features a metal frog in this Haitian design. 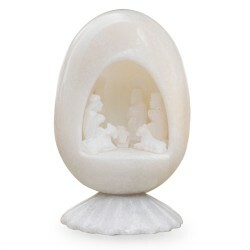 In the tradition ..